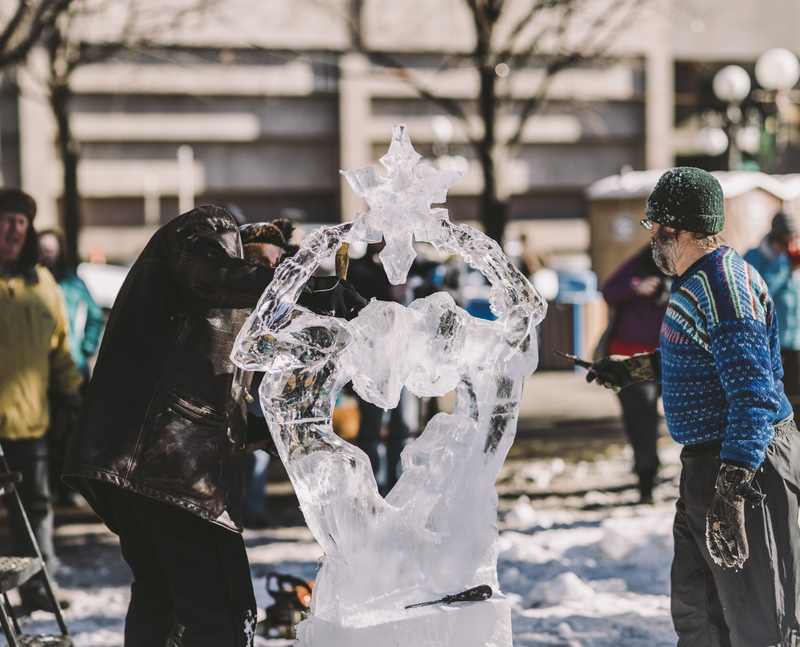 The 2018 Multi-Block Ice Carving Competition starts Thursday, January 25 and ends Saturday, January 27. Each contestant or team will be given 48 hours and 20 blocks of ice sized approximately 40″ x 20″ x 10″ to complete their ice sculpture. Finished carvings must be no more than 12′ above the ground and no wider than 12′ by 10′. Judging will take place immediately following completion of the contest. Completed designs will be on display throughout the Winter Carnival. Check out the live competition January 25-27 or stop by to see the final masterpieces!